I used to like Dean Koontz books but the last couple have been kind of slow moving and strange. I like sci fi and 'strange' twists as much as the next person but this book doesn't seen to be developing into a story I can get interested in so I'm not finishing it. This was an interesting yet confusing novel. 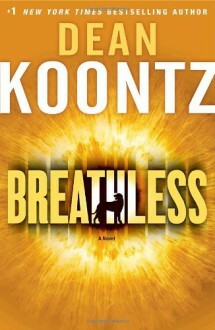 I think it was my first Dean Koontz and I enjoyed it. It seemed like everything came together very quickly in the last ten pages with very little explanation. I would have liked a better conclusion.